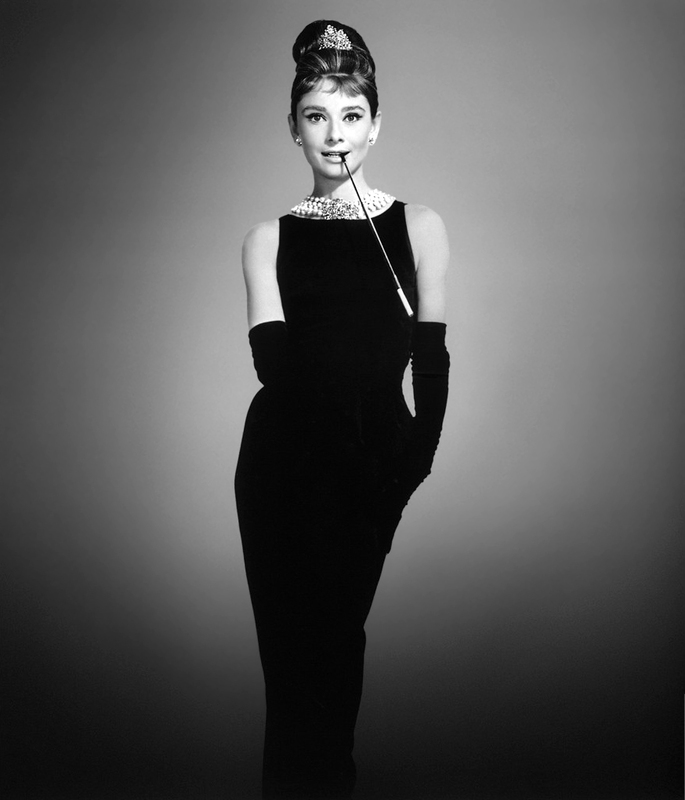 If you know me at all, you know that Audrey Hepburn is my favorite actress of all time. 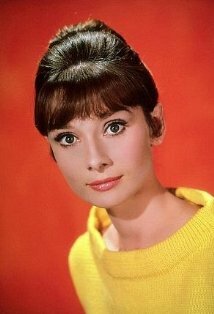 Last year on the anniversary of Audrey Hepburn's death, I posted some of my favorite Audrey movies (go here for that post). Today, I thought I would list 13 interesting facts about Audrey for my Thursday 13. 1. Everyone remembers when Marilyn Monroe serenaded President John F. Kennedy on his birthday in 1962. What is often forgotten is that Audrey Hepburn sang "Happy Birthday Mr. President" to JFK on his final birthday in 1963. 2. She was fluent in English, Spanish, French, Dutch/Flemish and Italian. 3. She had a breed of tulip named after her in 1990. 4. She turned down a role in the film The Diary of Anne Frank because, as a young girl in Holland during the war, she had witnessed Nazi soldiers publicly executing people in the streets and herding Jews onto railroad cars to be sent to death camps. She said that participating in the film would bring back too many painful memories for her. 5. She won the 1953 Best Actress Academy Award for Roman Holiday. 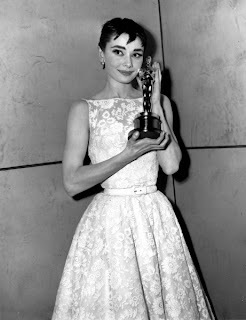 On March 25, 1954, she accepted the award from the much revered Academy president Jean Hersholt. After accepting the award, Audrey kissed him smack on the mouth, instead of the cheek, in her excitement. Minutes after accepting her Oscar, Audrey realized that she'd misplaced it. Turning quickly on the steps of the Center Theater in New York, she raced back to the ladies' room, retrieved the award, and was ready to pose for photographs. 6. She donated all the salaries she earned for her final projects to UNICEF (Love Among Thieves, Always and Garden of the World With Audrey Hepburn). Her last humanitarian mission for UNICEF was to Somalia in the summer of 1992. She was reported to have begun feeling stomach pains towards the end of the trip, which sadly turned out to be cancer. 7. She returned to work nine months after giving birth to her son Sean H. Ferrer in order to begin filming Breakfast at Tiffany's. 8. Suffered from hydrophobia, a condition that severely hampered some of her scenes in Two for the Road. When a shot called for co-star Albert Finney to throw her into a swimming pool, divers were placed on standby (off camera) just to placate the actress after it was learned that she had a morbid fear of water. 9. Broke her back during filming of a horse-riding scene in The Unforgiven. 10. 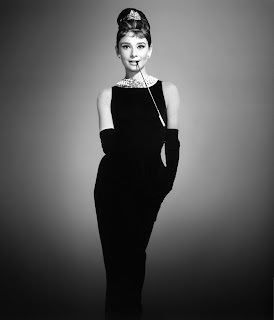 Her famous "little black dress" from Breakfast At Tiffany's, designed by Hubert de Givency, was sold at a Christie's auction for approximately $920,000 in December of 2006. 11. She told People magazine that she was very self-conscious about her size 10 feet. 12. She was trained as a dental assistant before making it big. 13. Audrey felt that she was miscast as Holly Golightly in Breakfast at Tiffany's, although it was one of her most popular roles. My living room wall- or as I call it, my "Audrey wall". The Audrey coasters my Bubba and his family gave me for Christmas! And one of my Audrey books. I have a ton of Audrey books! 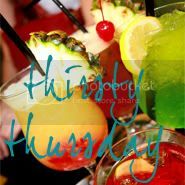 If you haven't already, I recommend that you stop by For the Love of Blogs. They are all simply wonderful over there. 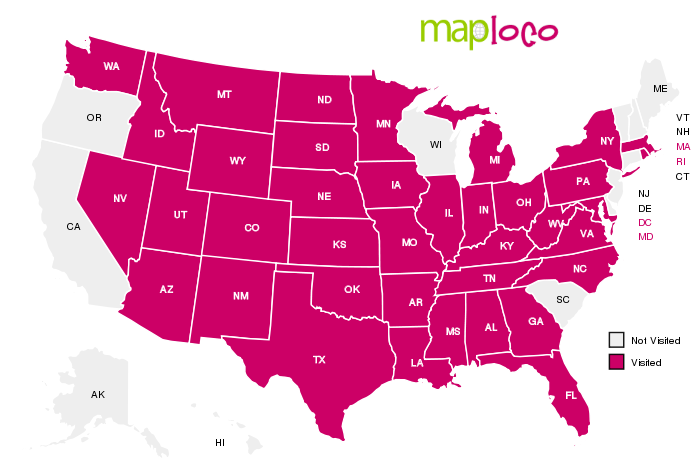 You can discover new blogs and make new friends along the way! I've made some wonderful blogging (and Twitter) friends from there. Since the temperature has dropped 18 degrees since I first woke up this morning, I think my drink of the day is going to be hot chocolate. 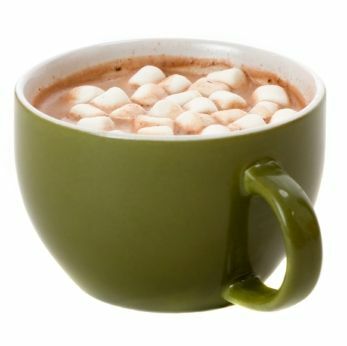 Brr!! Have a beautiful day! XOXO! I LOVE Audrey as well... although I don't think I have the appreciation for her as you do... I love your Audrey Hepburn paraphernaila!! So cute!!! 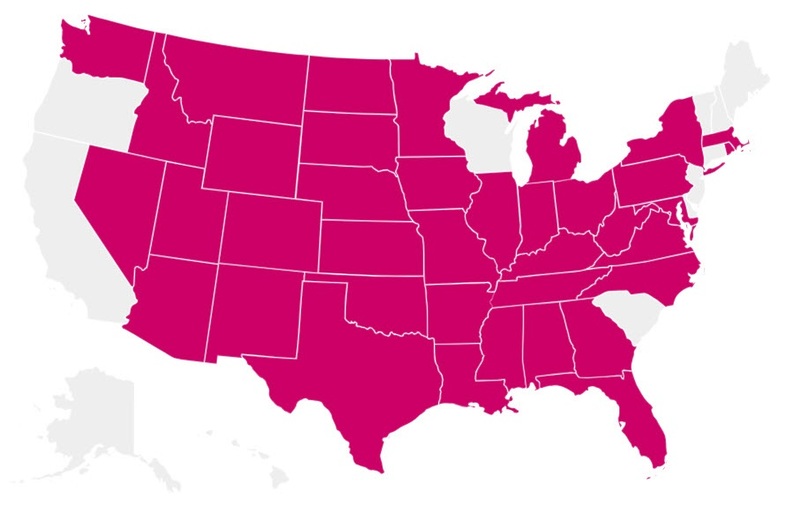 Thanks for this really interesting and informative post! I really enjoyed the facts. I didn't know much about Audrey so it was good to learn more. I am a flower fan so it was neat to read that she had a tulip named after her. I must say I have bigger feet than here and I am self conscious as well. 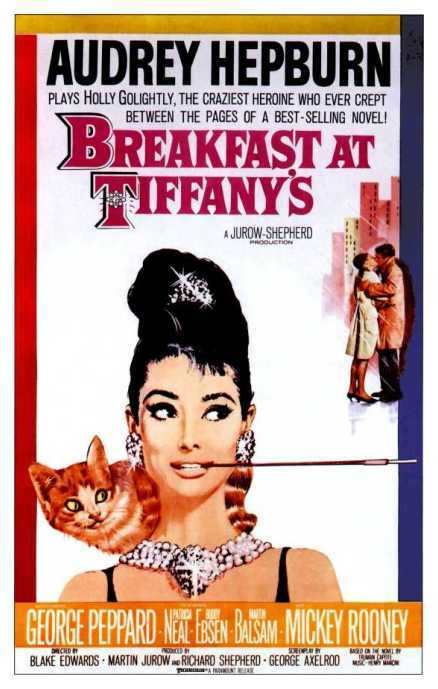 Now I feel like I need to go watch My Fair Lady or Breakfast at Tiffany's! :) Those are my two favorite Audrey films! It's hard to find contemporary stars like Audrey! I had no idea she had hydrophobia either! wow, you're quite a fan. Understandable tho. She was a smart lady. I've only seen her in a couple movies. I think I told you before that I watched my first Audrey movie just recently- after reading this, I want to watch them all. She seriously sounds like an amazing lady, I can see why you are such a fan! That's pretty cool stuff, didn't know most of it. There's an almost direct link to my favorite actress. Audrey Hepburn is distantly, at the most they say, related to Katherine Hepburn. She was portrayed by Cate Blanchett in "The Aviator," which is one of my fav movies. Thank you so much for sharing this, she was just a lovely lady! Rachel, that was the most fascinating post! And to see your Audrey wall and all your Audrey collectibles, how cool! 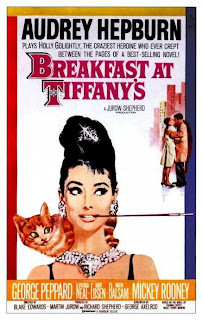 I think I'm going to have to put Breakfast at Tiffany's #1 on my Netflix queue.